I cannot really believe that I have taken these pictures just a couple of days before. Now, it wouldn't be possible to shoot without wearing a jacket. It is just so cold in Germany that I'd rather stay at home the whole winter. 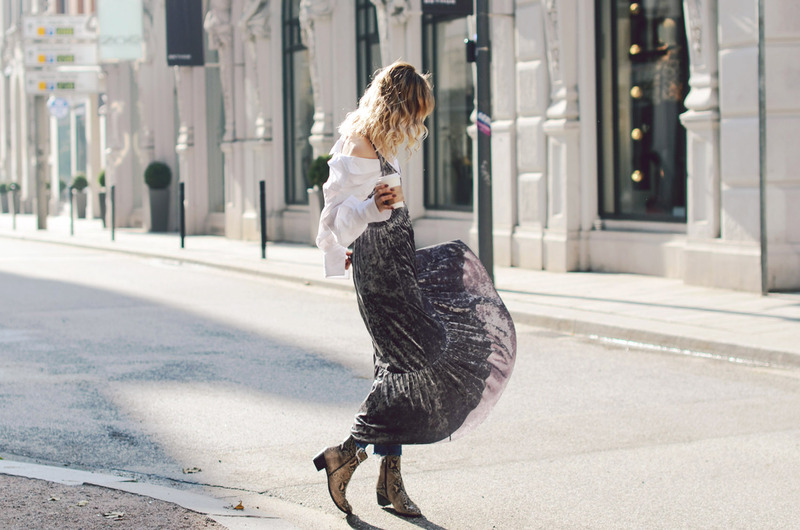 Nevertheless I don't want to deny you this nice layering look with my beloved maxi velvet dress, snake printed boots, a long blouse and boyfriend jeans pants.